Anegada is sometimes referred to as "the drowned island " with a high point of 28 feet. It is surrounded by reefs which makes it dangerous to get to yet because of this it is less touristy. you may see a clump of buildings, maybe 3 or 4 and then a quarter mile down the beach there may be another grouping. A restaurant and a store or perhaps some rental cottages boarded up for the season with the beach chairs leaning against the porch. The sand is a fine white sand composed of coal and limestone. White with a slight hint of pink. It is soft to touch, yet the damp sand is almost moldable. I made a sandman, of sorts, but it collapsed at the slightest touch. The water is multi colored in bands, starting with the white sand which turns pinker when wet. The next band is a light, bright turquoise color followed by a darker blue with patches of turquoise interspersed. The deepest blue is out at the horizon. The waves lap gently at the shore. The coral reefs keep the wave action down and the waves make a gentle burbuling sound. As the waves cross the sand the water turns the sand pink, and as the water recedes the sand slowly returns to white only to pinken with the next wave. Anegada is known for its birds and lizards. We saw quite a few birds, but not the most famous residents, the flamingos. Apparently when we were looking they had "flown to the bridge this morning", wherever the bridge is. The trees on Anegada are also interesting. It is one of few islands that has pine trees. Referred to as whistling pines they gently whisper in the breeze. The needles are long, like a southern pine, but thicker, with a succulent quality. Poke - me - boy trees are some of the rarest trees in the world. 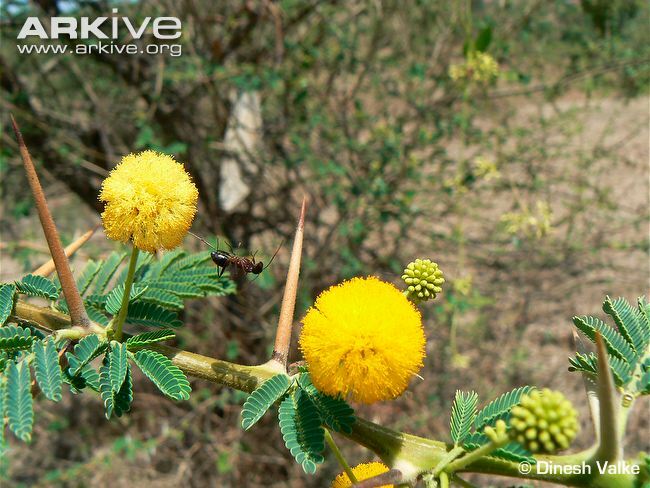 Long sharp thorns keep everything but the anegada lizards away. 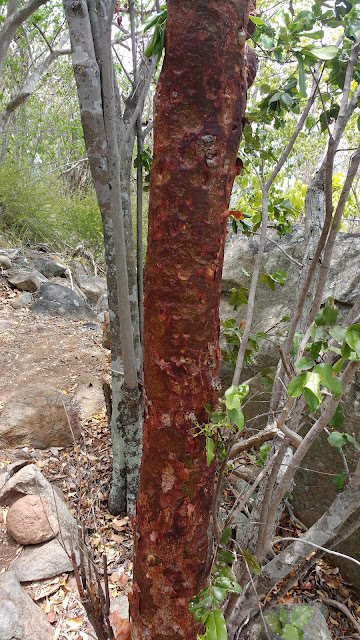 Turpentine trees are also called "tourist trees" because of the red peeling bark. The sea grapes with their very round leaves lining the sandy path to the sea. We enjoyed our quiet time on Anegada, a good sail over and a good sail back.